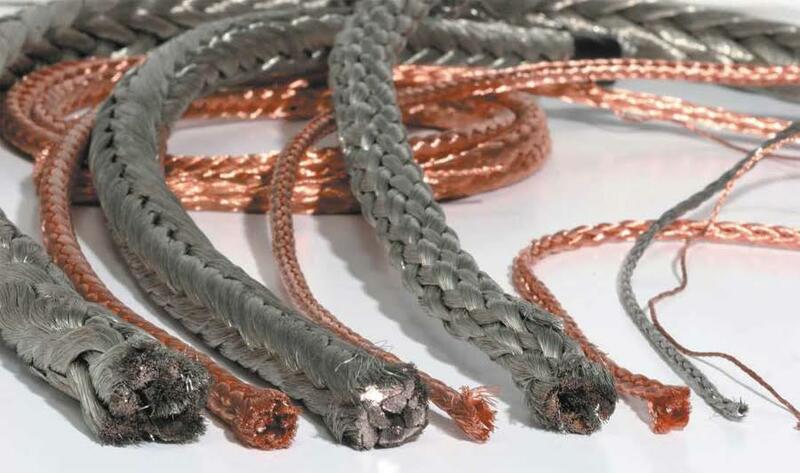 SIMCO a complete line of Manufacturer, Exporter & Supplier of copper braided flexible like copper braided connectors, copper braided shunts, copper braided flexible jumpers with tin and silver plated. 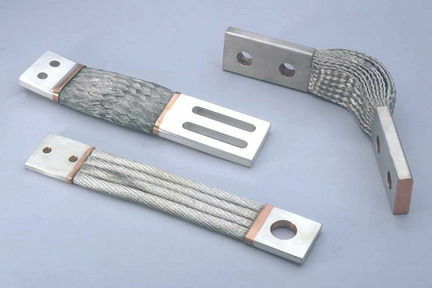 Copper braided strips, ropes are made from electrolytic grade copper wire of diameter depending upon customer’s requirements. 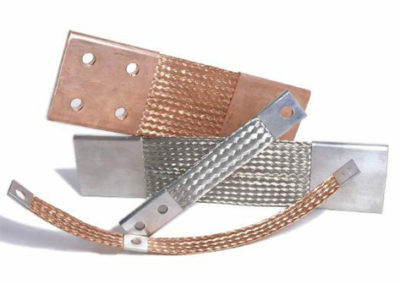 These strips and ropes are then pressed with copper connectors. 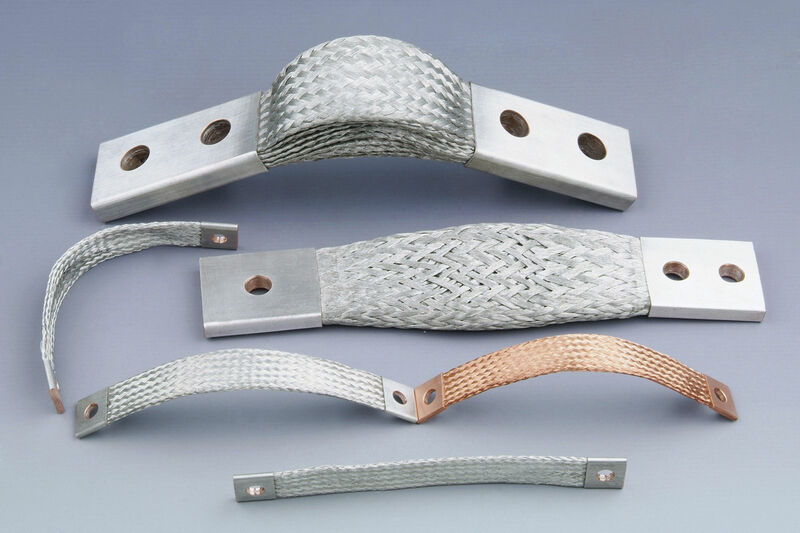 Copper braided flexible connectors, copper braided shunts & copper braided flexible jumpers is highly flexible and thus, it is used at places where it is difficult to use solid copper. 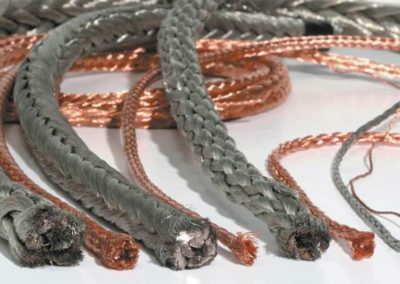 The copper braided strips, ropes, and connectors can also be tin, silver plated to offer better conductivity. 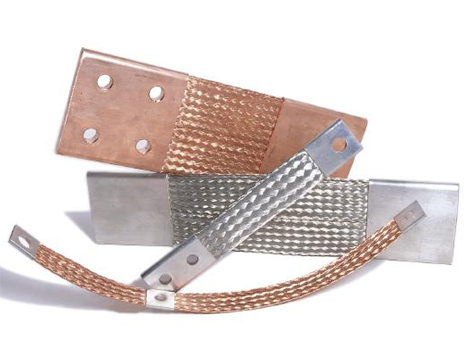 SIMCO manufactures copper braided connectors, copper braided shunts & copper braided jumpers in Mumbai. With our years of experience and expertise, our highly skilled personnel and precision engineering techniques we are able to cater to various industries which require these products in bulk and on a regular basis. 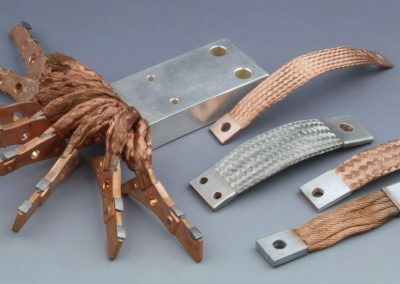 The raw material that is used to manufacture our copper connectors, copper shunts & copper jumpers products are LME grade ‘A’ cathodes of purity greater than 99.99%.